A collection of seasoned DJs, Emcees, Musicians,Lighting Programmers, Photobooth Operators, AV Production Technicians, Videographers and Photographers bringing an unparalleled level of service and touch to your event. We make it a point to learn about you, what you envision your event to be, and what you expect from us. 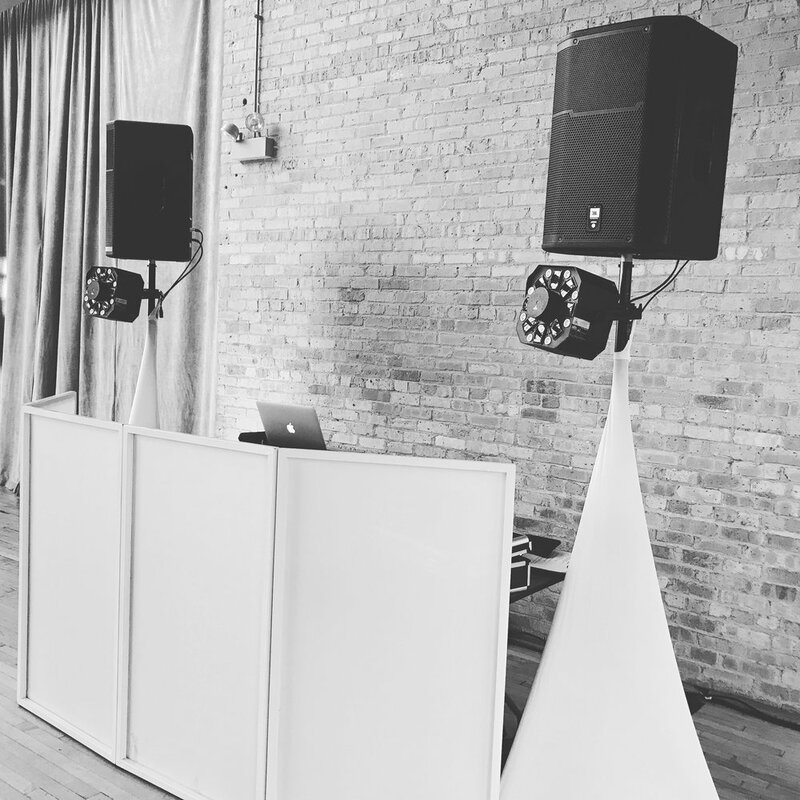 The Elegant Sound and Lighting team provides exceptional service, knowledge in multiple facets of the entertainment and sound production industry, state of the art equipment, event planning, and knowledge of multiple genres of music. A cornerstone of Elegant Sound and Lighting. We are held to the highest professional industry standards. Part of our success is based on our focus of making your event your way. We listen to your vision and then help you create that unforgettable day. Just the few words our clients use to describe us. We are a customer-focused and easy going crew that loves to have fun along the way! 1. Professional and experienced with a real passion for what we do and the ability to adjust to our clients various needs. 3. Value equipped packages and available customization. 4. Excellent customer service and attention to detail. 5. Experience a high volume of events per year which gives us the knowledge and skills to cater to your event. 7. Entertainers and technicians on emergency call 24/7. 8. Backup equipment on-site at every affair. 9. Over 25 years of experience with various events. 10. Fair and honest dealings with clients and vendors. Thank you for your inquiry. Someone from our team will reach out to you. shortly.